Backstreet Boys, N’Sync and 98 degrees were some of America’s top boybands during the late 90’s. 5ive was a big threat to them. 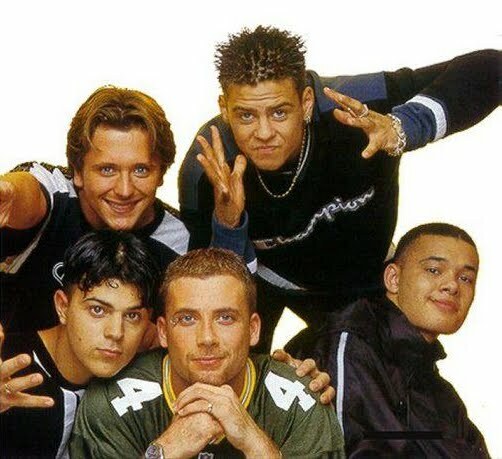 Richard “Abs” Breen (now Abz Love), Ritchie Neville, Scott Robinson, Sean Conlon and Jason “J” Brown. 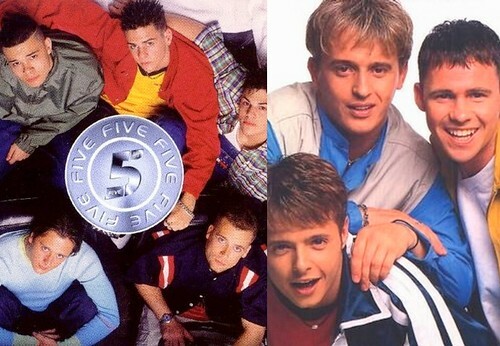 Just like the Spice Girls, the boys of 5ive have different personalities. Abs was my favorite member. He raps, grooves and moves like a real pop star. Ritchie is the favorite of most teenage girls because of his angelic looks. J is the leader of the group. Scott is another cutie who will truly make ones heart melt and Sean is the baby of the group who can really sing like a balladeer. The FIVE British Boys that rocked your world! The group is on its prime when Sean, the youngest member of the group decided to quit. Young and overwhelmed with the demands of his work, he revealed that he needed to leave the group to ‘find himself again’. In one of the episodes of The Big Reunion, he confessed that he was bullied by some of the members of the group and at times he felt out of place. The group still went on with the gigs until Scott decided to quit too. Fame is just too much to handle and he wants to marry his girlfriend. That left the other members with no choice but to disband. Each member of Five had their own interesting yet heartbreaking stories to share after the Five fame. It is Abs who felt more devastated with the break-up. He felt that the end of Five is like the end of his dream. He felt that the boys took his dream job away from him. He released two or three songs as a solo artist, but his finances were not handled properly. For years, he lived like a millionaire spending his money on alcohol, drugs and many more until one day, he woke up bankrupt. As of present, he lives in a more quiet place with his girlfriend. He is drug-free now and he is still hoping that the reunion will open more doors for him. You can still see it in his eyes that he is really affected with what happened in the past. 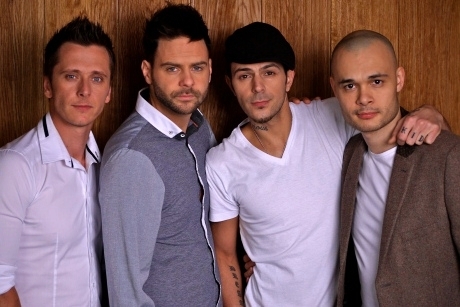 5IVE GONE FOUR: Ritchie, Scott, Abs and Sean… still hoping to see J! J Brown, the original leader of the band decided not to join the reunion due to undisclosed reasons. Now I wonder how the group will cope up with that. J and Abs were responsible with the rap parts (which basically means the whole song). I am still hoping J will do a surprise appearance on the show. 911 – You Got That Body Shakin’! 911 – You want some body shakin’? body flippin’? good lovin’? 911 is the boyband for you! 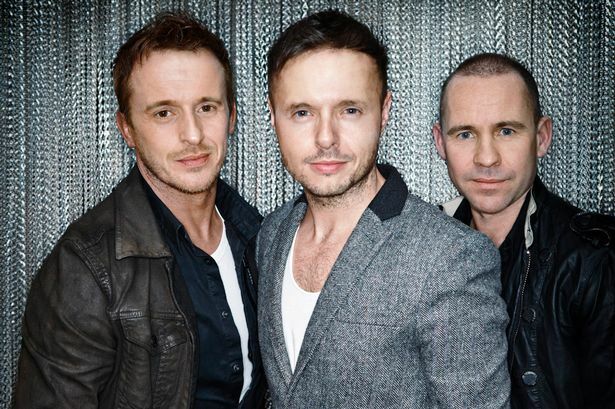 The 911 trio is composed of Lee Brennan, Jimmy Constable and Simon ‘Spike’ Dawbarn. Jimmy and Spike were the resident freestyle dancers of the show ‘The Hit Man and Her’. The two planned to start a boyband. Lee is a big fan of the duo and later on, he joined the group to be the lead singer and hola, 911 was born! They toured around UK performing in schools until they were signed by a record label. The group won the hearts of fans worldwide. Obviously, Lee was the most popular member of the group. He was even linked to Emma Bunton for a time and dated Lindsay of B*Witched. The two got married in 2006 but parted ways last year. The 911 boys were honest in their interview for The Big Reunion. They really loved performing and enjoyed the attention they got especially from female fans. As Jimmy revealed, he was basically a ‘walking hormone’. He said whenever the boys are on tour, they’d go partying and sometimes wake up with strangers on their hotel room. I can still remember how Filipino fans loved 911. I think among all the boy bands who went here to promote their album, 911 really had a positive feedback from the press. From Lee’s singing to Spike and Jimmy’s breakdancing. They were also nice and polite in their interviews. Being nice and talented is the way to make the Southeast Asians love you more! 911 continued to do ’emergency invasion’ around the world. As Lee reminisces the good ‘ol days, he said they rarely had a day off. It is one of the downsides of fame – You don’t have a life – you have a schedule. (took that quote from Spice World The Movie though). Lee, Jimmy and Spike enjoyed traveling but they weren’t able to maximize it to the fullest in the ideal way. Instead of beach getaways and doing touristy stuff, they end up partying and almost got into jail in a foreign country. Unlike other boy band stories, none of the members of 911 said goodbye first. It was a management decision to end the group while they’re at the top of their game. It seems like Jimmy is the one who didn’t take the sudden change lightly. He became an alcoholic, but he was able to fix himself. I know that Liberty X is part of The Big Reunion, but I don’t know much about them. I am excited to see Five and 911 perform live! 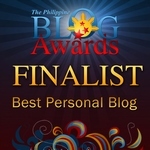 Let’s see how the former hearthrobs do it again! Woot Woot! I’m hoping to catch 5IVE, 911, B*Witched, Honeyz, Liberty X and Atomic Kitten perform live! 90’s Pop Rocks!